Our Myths of the World: Spirit Wolf Walkthrough will be your spirit guide as you attempt to uncover the ghosts of the past and discover why they have become restless in this gorgeous hidden object adventure game. Use our detailed instructions, our custom marked screenshots, and our simple puzzle solutions to help you answer the call of the spirit wolf and reveal the secrets of your own heritage. When your friend calls you out to investigate some Native American runes at his education center, you think nothing of it. However, when you arrive, you realize that something strange as going on... it's as if nature is unbalanced and ghostly specters are roaming the wild! Strange glowing runes are scattered through the area and the amulet that's been in your family for years is responding in kind. Now, it's up to you to unravel the secrets of the past by helping the restless ghosts and discovering how you can set their minds at ease in this truly amazing hidden object game. But don't worry! You won't be alone in this investigation! 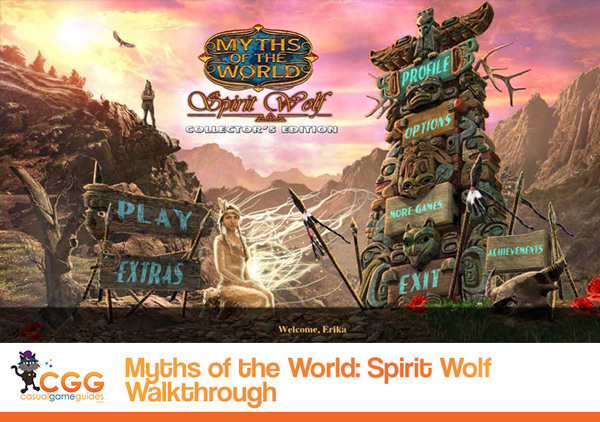 We've got you covered with a full Myths of the World: Spirit Wolf Walkthrough! With our Myths of the World: Spirit Wolf Walkthrough, you'll get expert guidance with our custom marked, beautiful screenshots highlighted with key items locations and areas of interest. We've also included detailed, comprehensive instructions that will guide each and every step you need to take from start to end game. And finally, we've made sure to include solutions for every puzzle and mini-game you'll encounter as you play, so you'll never have to resort to using that skip button. 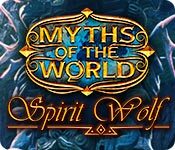 It's all here for you in our Myths of the World: Spirit Wolf Walkthrough - every answer to every question or puzzle that may get in the way of your investigation as you search for ways to calm the ghosts of the past.